There is something about combining yarns of different fibers that is just so much fun. 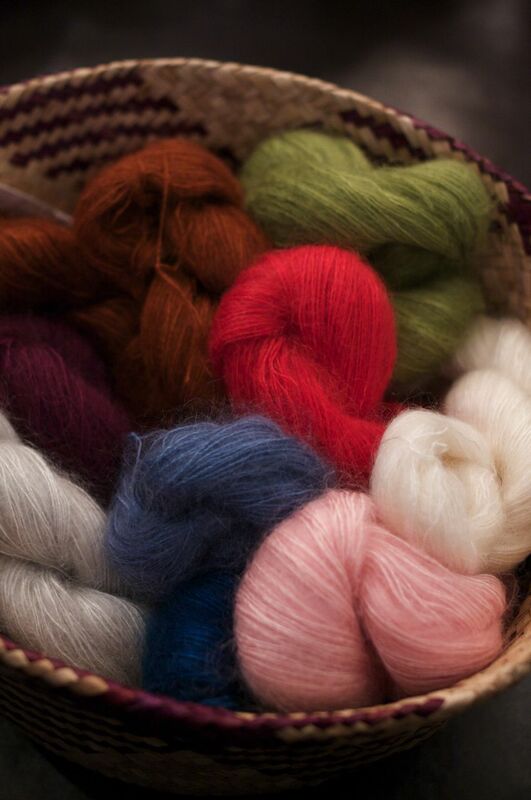 The combination of a solid and a hand dye, or even two different solids often makes the yarn come alive. Both Kynna and Amanda have knit up a great slouchy hat (pattern is free here) using 2 different yarns held together and the effect is amazing! I am especially smitten with the mohair in the mix, there are a few new mohairs around the shop so there are a lot to choose from. 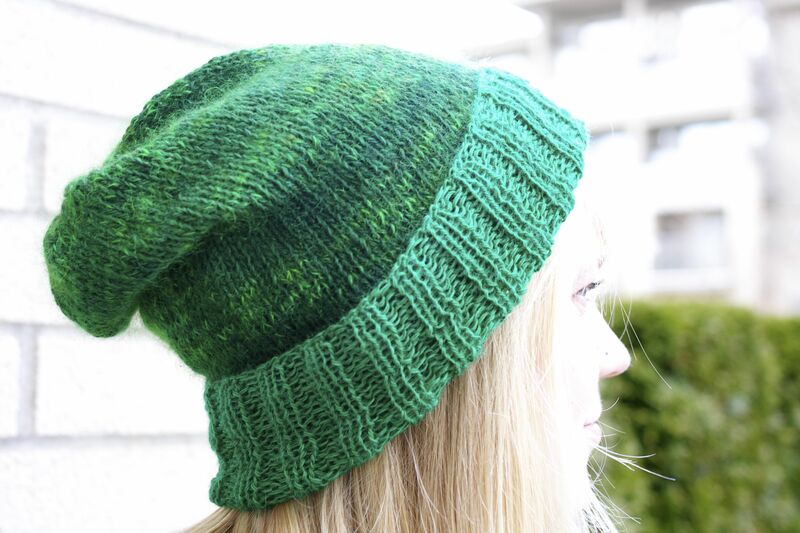 This hat calls for lace weight to be combined with the mohair which makes for some stunning options. Amanda went with a slightly more subtle combination of Malabrigo Lace and the newest mohair around the shop, Debbie Bliss Angel (pictured above), a silk mohair combination. 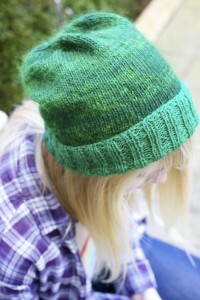 I think the hat is gorgeous of course, slouchy being all the rage. 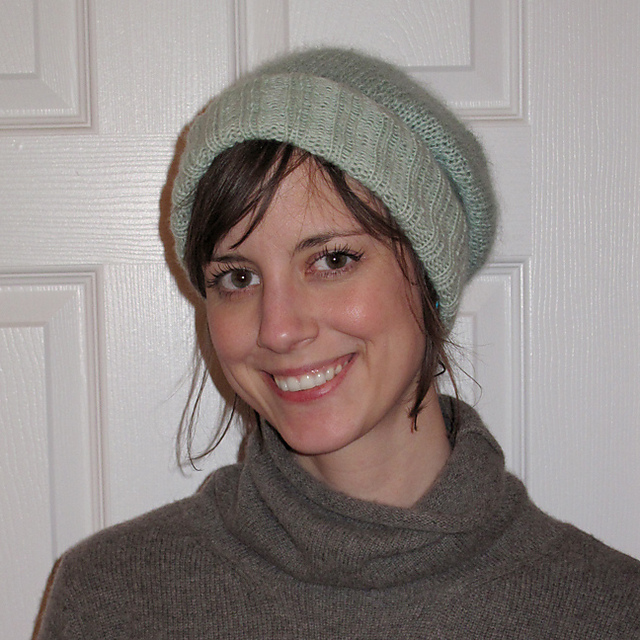 The mohair gives off a beautiful halo but it’s not quite as fuzzy as, say, an angora. 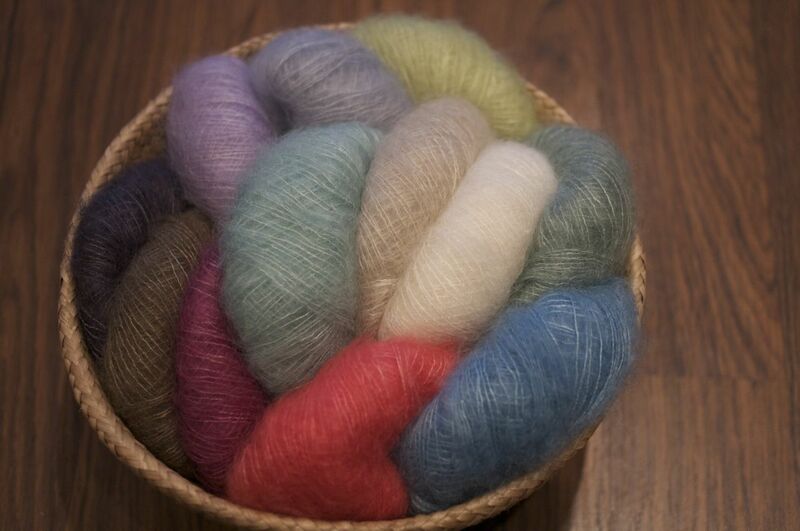 If you’re looking for another solid mohair we’ve also got Shibui’s Silk Cloud. This one has a slightly higher silk content giving it a nice shine in addition to the mohair halo. Kynna went with a bolder colour combination and a self striping lace. The lace is Zauberball, a very cool yarn, it comes in sock and lace weights and a absolutely LOVE the way it stripes up. For this hat 2 strands of the lace are held together, so instead of striping the Zauberball has a wonderful depth of colour. There are really 3 different greens coming through at any given time, how wonderful. It’s not even so much a stripe as it moves from one colour or shade to the next. The mohair is a hand dye from Alchemy called Haiku. 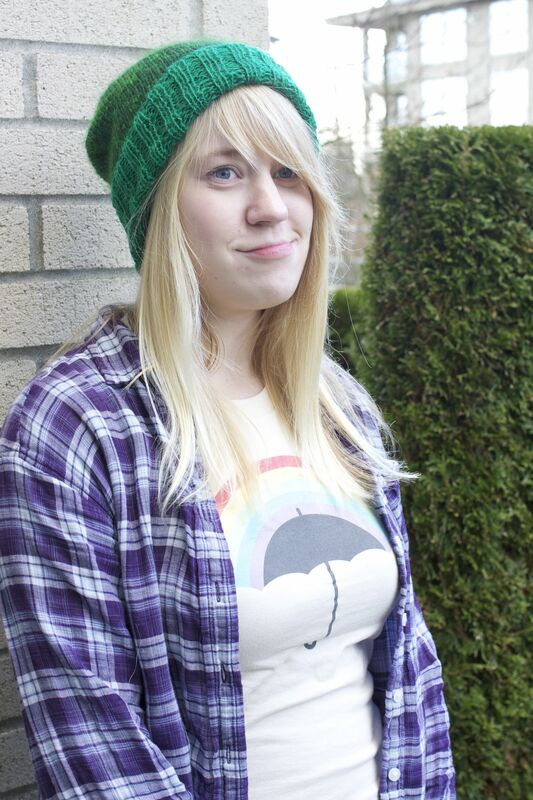 The emerald combo is to dye for, well chosen Kynna! This entry was posted on Monday, February 14th, 2011 at 1:54 pm	and is filed under Uncategorized. You can follow any responses to this entry through the RSS 2.0 feed. Both comments and pings are currently closed.